Among the crowded streets around Paris’s Chateau Rouge Metro station, where traders hawk exotic fruit and black market cigarettes, a modern apartment block rises up incongruously. Here, virtuoso clarinettist Simon Eskénazy (Antoine de Caunes – Eurotrash) is trying to finish his record. He is also resisting his sick mother’s pleas to be installed in his apartment, while coming to terms with the reappearance of ex-wife Rosalie and their ten-year-old son; then there are his musicians, his insistent agent, Arlette, and his current lover, Raphaël. And then there is Naïm. By night he is Rose, waitress at the ‘Paradise’ cabaret. Fragile yet violent, loving, funny, elusive and provocative, he is the artist of his own life; in a heartbeat, he can transform himself into a femme fatale. Simon, an Ashkenazi Jew, and Naïm, a Muslim, are worlds apart. But this film is both a love story and a dizzying comedy, in which Simon is forced to let go of all his preconceived ideas and fears. 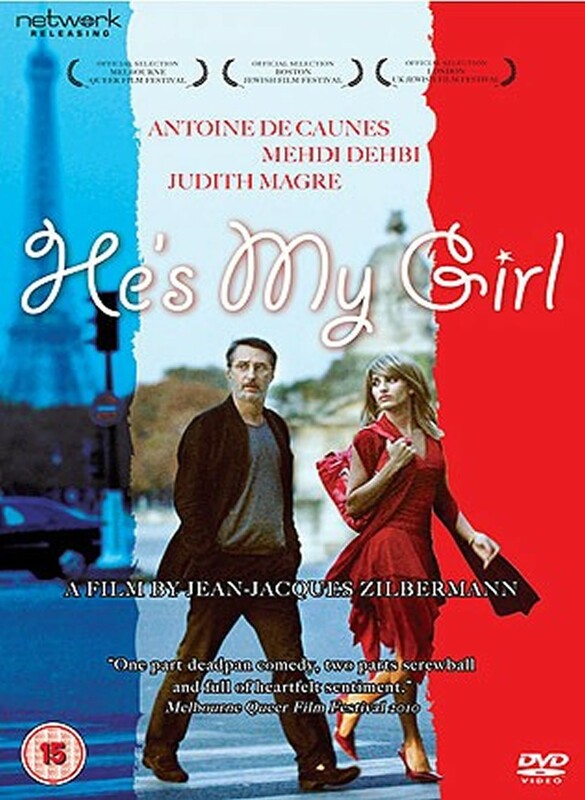 He’s My Girl takes up the story of Simon Eskénazy ten years on from the César-nominated Man is a Woman. Visually beautiful and emotionally compelling, the film is again directed by Jean-Jacques Zilbermann and features a stunning performance from Mehdi Dehbi (Le soleil assassiné) as the extravagant, mercurial Naïm.